The Emil Buehler Perpetual Trust Planetarium at Seminole State College of Florida offers live, interactive shows and full-dome video presentations that are unlike any planetarium show you'll ever experience. From traditional star displays and cultural shows that detail the importance of astronomy around the world, to feature presentations that whisk you through the depths of outer space, the planetarium has something for curious stargazers of all ages. 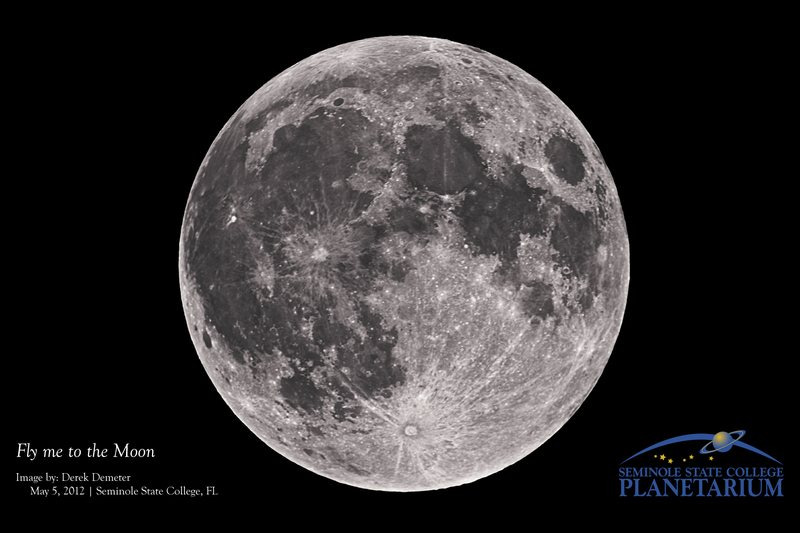 Located on the Sanford/Lake Mary Campus, the planetarium has served Central Florida for more than 25 years as a fun and educational resource for school groups and classes, from preschool to college. The planetarium is also home to the Central Florida Astronomical Society, one of the largest amateur astronomy societies in the Southeast. Our staff invites you to an unforgettable evening — to experience the fascinating world of astronomy. We hope that your time at the planetarium piques your curiosity to learn even more about Earth, our solar system and beyond. Check out the planetarium's latest desktop image. Preschoolers and Seminole State students, faculty and staff: Free! Note: The planetarium can only accept cash or checks at this time. Doors open at 8:15 p.m., and each show begins promptly at 8:30 p.m. The planetarium does not take reservations, so we advise everyone to arrive early for ideal seating. No one may enter or re-enter the planetarium once the show begins. Central Florida Nights: These shows run on the first, third and fifth Friday of each month (excluding June). Cultural Astronomy Series: These shows run on the second and fourth Friday of each month. Special Features: These are live, interactive presentations on topics related to astronomy or science. For additional information regarding show times and descriptions, directions and more, call 407.708.2360.